Do you feel stuck? Spinning your wheels? Uncertain which direction to take? Do you have questions about your career path? Are you afraid to follow your dreams into your best possible career? Do you need more self-esteem? Cassandra offers a form of personal empowerment coaching that combines her abilities as a psychic and her abilities as a life coach. An empowerment coach is essentially your own private cheerleader. It’s like having a personal trainer, only this session is all about your life, what you want to achieve, how to bring balance to your life, and how to achieve your career or business goals. A coaching session helps point out the areas that need attention, such as the self-imposed barriers that we all erect, self-defeating attitudes, and all those other little things that are essentially blocking you from moving forward. A coaching session also helps you to evaluate what should be short term goals and long term goals. Together, we take a look at what is realistic, what is possible, and what you should dare to dream into reality. Cassandra takes life coaching a step farther by incorporating her gifts as a psychic. 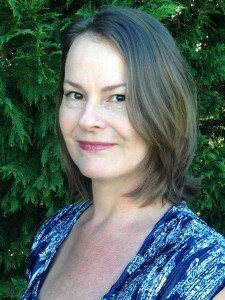 Cassandra does incorporate spiritual aspects into her coaching to help you regain balance in your life, get new direction, and help you to evaluate your own life path. The best foundation is the one that is built on solid ground. So do expect some soul talk in these coaching sessions. Cassandra prefers to call these Personal Empowerment Coaching Sessions because the goal is to help you as an individual live a happy, successful and empowered life. Do you want to start a business, but all your friends are telling you that you can’t do it? Cassandra will encourage you to reach for your highest goals and encourage you never to doubt yourself again. Are you a middle-aged female, recently divorced, and you want to start a new life, but aren’t quite confident enough to do it? A coaching session with Cassandra will pinpoint your strengths not your weaknesses, and help show you that you can achieve more than you ever imagined. Cassandra is committed to helping you to change your perceptions and keep you moving forward. Sometimes a little coaxing is all it takes to embrace a better future. We do recommend that you take a more structured approach and set a goal to have at least four sessions with Cassandra, each spaced about two-three weeks apart. This gives you a firm foundation to springboard from. 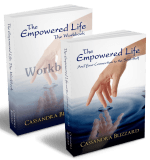 However, Cassandra doesn’t impose any long-term commitments to these personal empowerment coaching sessions. You may, if you wish, schedule sessions whenever you feel that you need a lift, some fresh perspective, or a little help clearing out the cobwebs to help you get motivated. Cassandra believes in you and helps you to believe in yourself. A coaching session with Cassandra will show you the spiritual ways of removing blocks and achieving a balanced life. Empower yourself today. Coaching sessions are available by telephone. Occasionally, Cassandra may also arrange in-office, face-to-face sessions. Please be advised that Cassandra does not record empowerment coaching sessions. She only records mediumship sessions. If scheduling an appointment for personal empowerment coaching, please pay as soon as possible after making your appointment, by using the button below.